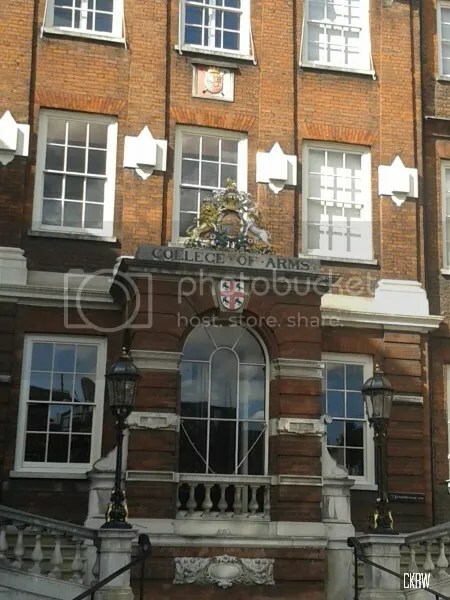 Specifically, the College of Arms. I found its location entirely by accident on a long wander one afternoon and spent the rest of the walk schooling Jeff on various assorted history. He was attentive but admittedly uninterested, so you minions get the lesson instead. Which you will appreciate, yes? The College is one of the few remaining authoritative heraldic organizations left in Europe. It’s been in operation since Richard III and is charged with the keeping of records related to pedigree and usage of coats of arms. If you are granted a coat of arms yourself, this is the institution that would develop it and store the history of the family. Historically one of the most important tasks of the College was to mediate the legal battles of who got to claim and wear which coats of arms and symbols. This is done in the fantastically named Court of Chivalry. But don’t get too excited, there’s precious little jousting. Like I said, the battles were mostly legal to resolve disputes about heredity. And if you know your British history, heredity can be ridiculously complex for something that held the entire system together. For example, the head of the operation is the Earl Marshal, a hereditary office held by the Dukes of Norfolk. Though every single Duke has descended in some way or another from Edward I, there have actually been multiple creations of the title. 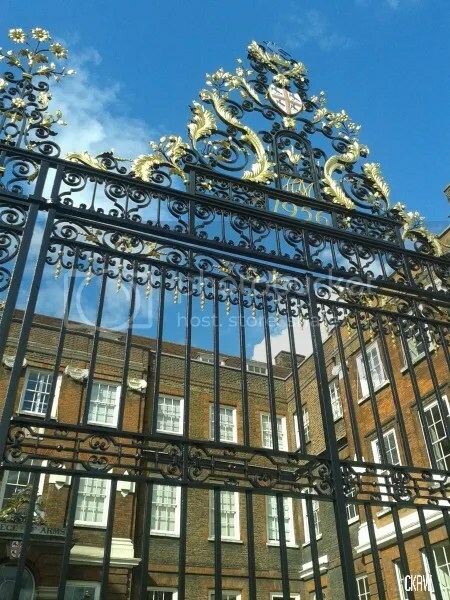 The family that’s held the title since the 15th century are the Howards, who are the second most historically powerful and ranked clan of British peerage after the Royal Family. The family is also the most historically prominent Catholic family in Britain, no mean feat after the various Reformations, Counter Reformations, Civil Wars, and various Acts of Parliaments to limit Catholic rights. By an Act, no Catholic can become monarch, which is why we got the German Hanover family and all their various Georges in the 18th century. The government had to bypass 50 people with a better blood claim to the throne in order to find a suitable Protestant in George I who could not speak a word of English at the time. Something that I found fascinating in learning more about the College (why, what do YOU do on the weekends?) was that contrary to almost universal popular belief, coats of arms are not technically held by a family. They are held by an individual or a corporate body like a guild. So if you think there’s a coat of arms associated with your family, bad news. You’re probably one of the many twigs on the family tree who isn’t entitled to claim it.